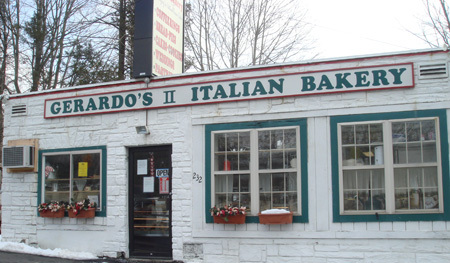 Gerardo’s II on Rt. 9 (232 Turnpike Rd.) Westboro is another place I’ve been by 100’s of times but never thought of going in because it’s easy to pass and right by an on ramp and I just never bothered stopping in. Since I started working in Westborough, I made the effort to go check it out. 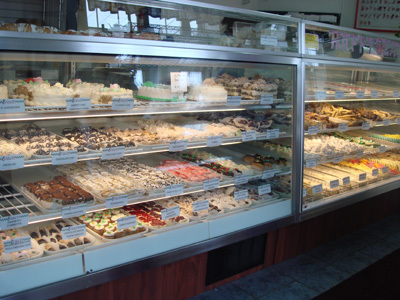 Inside is small but they have an impressive assortment of pastries, cookies and cakes. 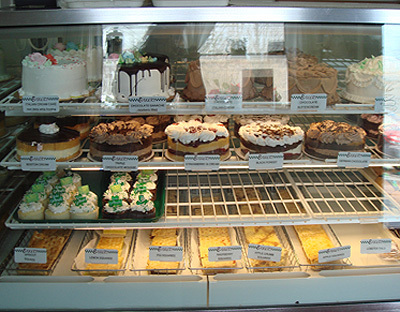 The nice lady at the couter told me they also make custom cakes and offer much more than what they have in the case, you just have to ask. 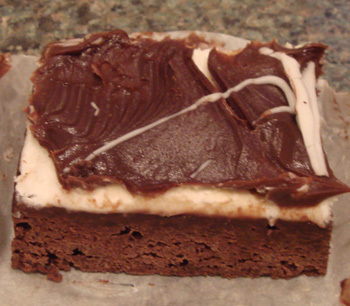 I decided to get a few treats for home which were some cannoli and a creamcheese brownie that was excellent. 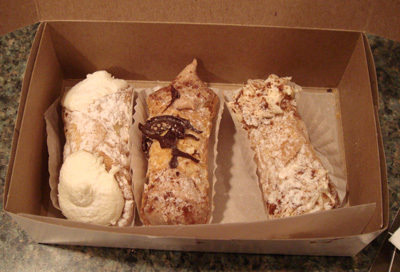 The cannolis I got were plain, chocolate and tiramisu. This is a great little bakery and they seem to do pretty well even though they are in kind of a random location but the treats are good enough that it’s worth stopping in. Gerardo’s is incredible, got my first cake last year for a 50th anniversary, it was out of this world. Just went back for a bday carrot cake, and it was just scrumptious. Excellent bakery! Just tried this bakery over the weekend. Got cannolis and butter cookies. Both were very good. Was very impressed by the variety of sweets! They also make breads.